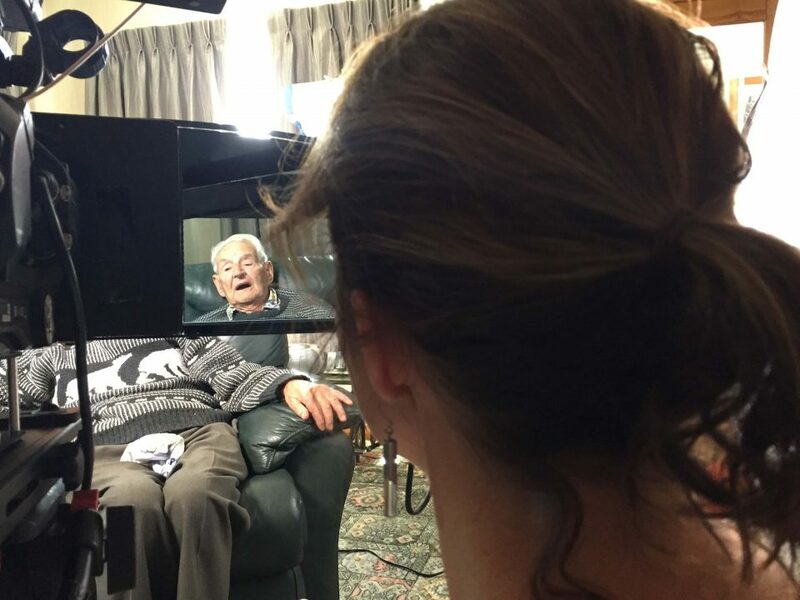 Recently Holly and Josh travelled to Palmerston North to interview WWII vet Pat Hickton. 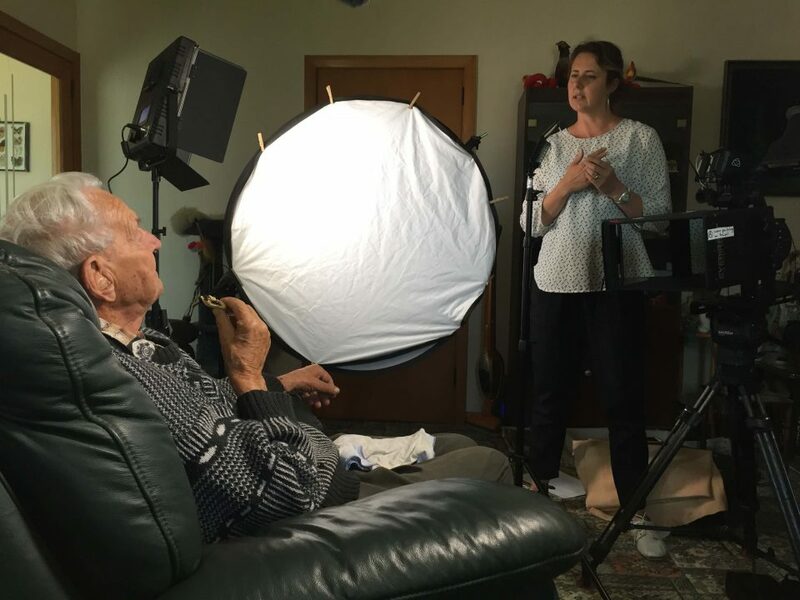 Pat was a tail gunner on a Wellington bomber that was shot down over occupied France and he was on the run from the Nazi’s for weeks before finally being caught and imprisoned. He then helped mastermind a daring escape from the prison and with the help of Nancy Wake and the French resistance he was smuggled out of France to freedom. 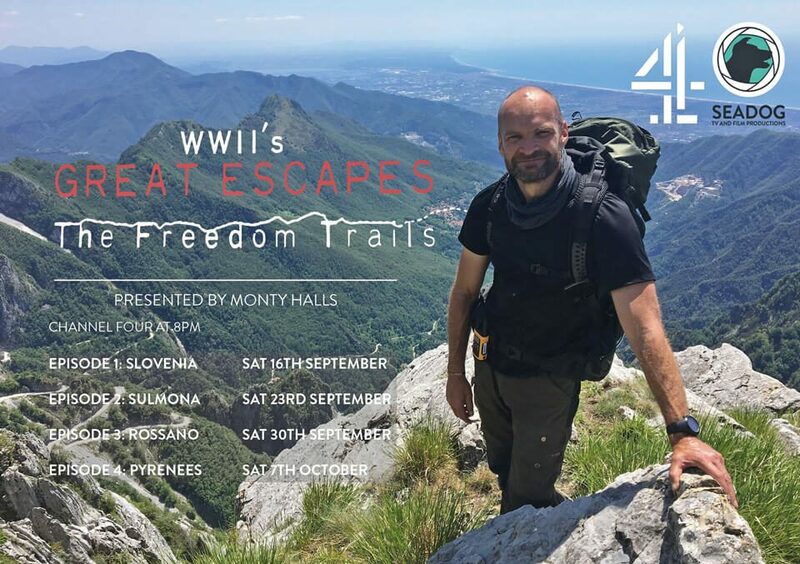 At 95 Pat recalled details of his incredible story as if it were yesterday, and it was a real privilege to film and interview Pat for Seadog Productions ( UK ) forthcoming series “Freedom Trails” fronted by Monty Halls. 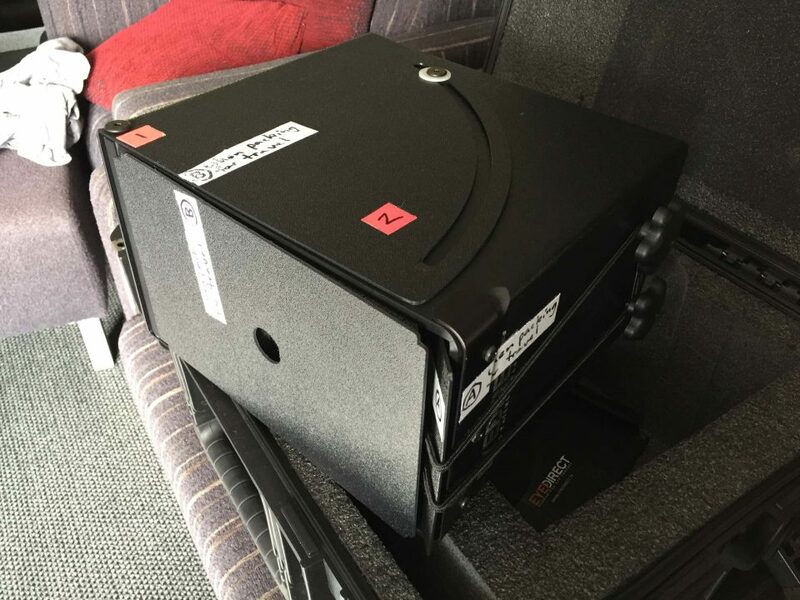 To achieve a natural “down the lens” style to the interview we used an EyeDirect beamsplitter, which allows the subject to see the interviewer as if they are directly in front of the lens via a mirror. The interviewer sits right beside the camera and can see the subject via the mirror system. It’s a great tool for filming engaging interviews. 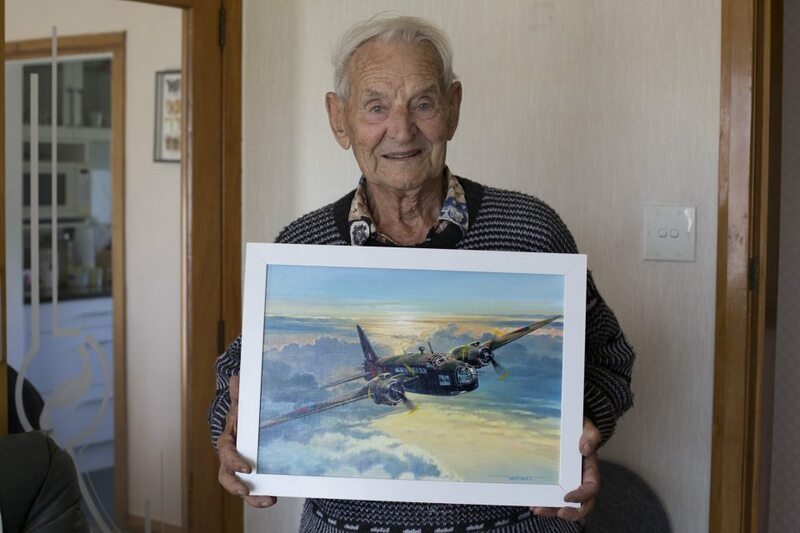 Holly’s father Spike Wademan is a master Aviation and Marine artist and he created a wonderful painting of a Wellington bomber that we presented to Pat.